The obsession with Chick-fil-A is real. This fast food chain that started in the south has quickly captured my soul with their impeccable chicken sandwiches. Welcome to CA… not California but Chick-fil-A Anonymous. Chick-fil-A breaks my heart on the weekly. This establishment is unfortunately closed on Sundays. But they are open from 6:30 am- 10 pm Monday-Saturday… and their breakfast menu is a whole new experience that I know way too well. But that’s a different conversation for a different time. ‘Cause, obviously, you always need condiments on hand. 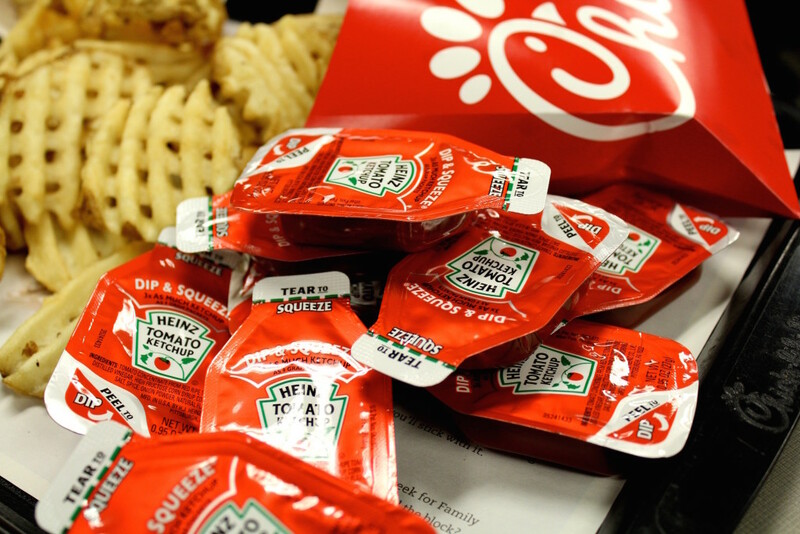 These convenient little packets of heaven are superior compared to those boring, old, regular ketchup packs. Chick-fil-A did a great job designing these. I mean, they definitely have me sold. #SpoonTip: For all other fast food chains… get these ASAP! All I can think of is ordering a spicy chicken deluxe meal when I go to Chick-fil-A. Imagine a tender piece of fried chicken tucked between two soft, buttery buns. The flavorful spice from the pepper jack cheese is the ultimate kicker and brings a glutton-filled smile to my face every single time. Nothing is better than pairing this meal with a cool and refreshing Arnold Palmer. 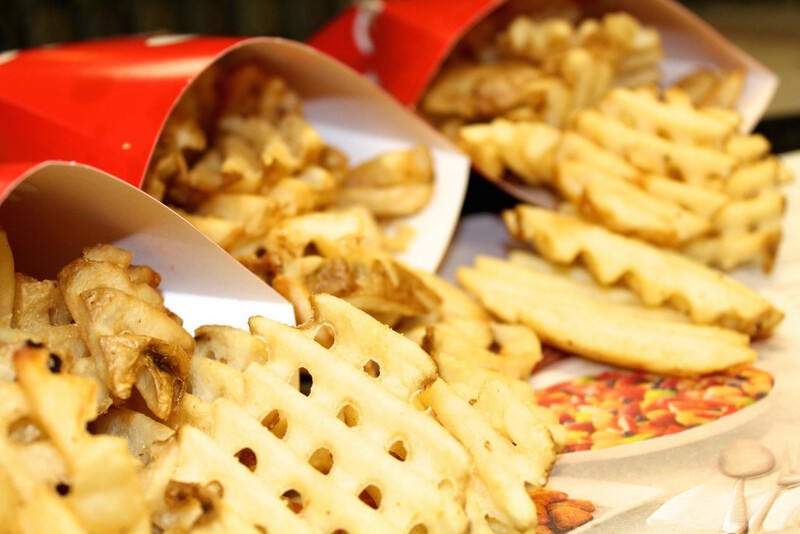 But not so fast, we can’t forget the fries…. Let’s be honest everyone, Chick-fil-A never disappoints with their ultimate crispy waffle fries (but tater tots will always be #2 in my heart). Chick-fil-A is just so damn good. It’s as simple as that. Don’t lie, we both know you’re capable of inhaling that whole meal in just 10 seconds rather than 10 minutes. EAT. MOR. CHIKIN. Chick-fil-A’s cow campaign has been running strong since 1995 and their advertisements are eye-catching to say the least. 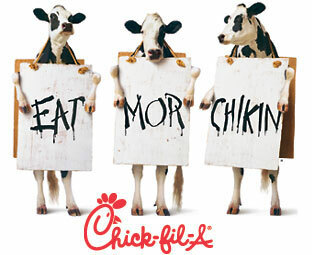 When there’s a giant cow telling me to eat more chicken sandwiches… well, of course I’m going to. Why yes, yes I do. I mean it’s FREE. You rock my world, Chick-fil-A. Chick-fil-A, you definitely deserve an MVP award in my life. I might be obsessed, but for all the right reasons. Aren’t you hopelessly obsessed with Chick-fil-A too?